Many karateka I know have a lingering fascination with Chinese martial arts (even if they sometimes don’t or won’t acknowledge it publicly). That is to say, they want to know more about the Chinese arts to see whether this knowledge will enrich their understanding of karate. After all, karate is said to be a descendant of the Chinese martial arts: even its name “karate” is a reference to its mainland origins. The original characters for karate were 唐手, which literally translates as “hand(s) of Tang”. 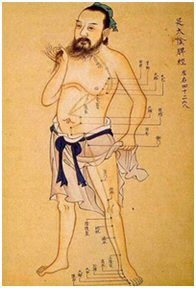 The character for “Tang” (唐) was a reference to the Tang dynasty and became widely used to refer to China. In other words, karate originally meant “Chinese hand”. 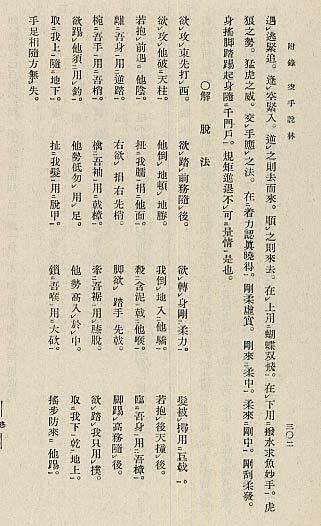 It was only in around 1932 that a decision was made, due to political pressure arising out of the prevailing nationalism, to change the characters to “空手”, a homonym which means “empty hand”. I have dealt with the connection between karate and the Chinese martial arts in various articles (for example, see “The origins of goju kata Parts 1, 2, 3 and 4”, “Naha te and its Chinese cousins” and “Seisan: universal kata”, so I don’t propose to dwell on historical issues here. Rather I want to get back to karate, and the Chinese arts, as they are today. 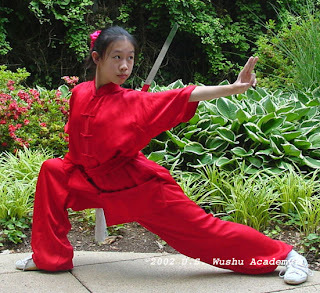 There is no shortage of karateka who have researched Chinese martial arts after starting in karate. These range from eminent Japanese researchers such as Akio Kinjo and Tadahiko Ohtsuka to respected western researchers such as Patrick McCarthy, Simon Lailey (who has researched the origins of uechi ryu, including finding a possible “lost” uechi suparinpei) and my own instructors and seniors Bob Davies and James Sumarac. I suppose I can count myself as one of these now, having studied Chinese arts for more than 2 decades and karate for more than 3! Some of these karateka have researched the arts that are most “karate-like”. So McCarthy and Lailey have focused their attention on southern Chinese systems that were the forebears to Okinawan karate. 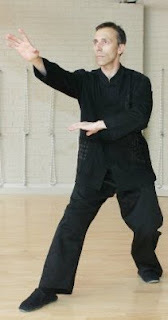 It seems to me that the majority have however turned their attention to the internal arts, in particular taijiquan (eg. Ohtsuka, Sumarac, Hirokazu Kanazawa and Victor Smith). A smaller number have studied baguazhang (eg, Sumarac) and fewer still, xingyiquan (eg. Sumarac and Davies). Why do these karateka choose to study the internal arts? 1 I suppose they offer a counterpoint to the “hardness” of karate (at least in its basic form). Furthermore, as karateka get more senior their own karate practice tends to become “softer”, so I suppose it is inevitable that the “soft” arts of China will hold some appeal. After all, there is a natural limit to how far you can rely on “hardness” – age and injury both take their toll and sooner or later you realise that you are past your physical peak. At this point you inevitably start to look for more efficient, cleverer ways of moving. And, as I have discussed in my article “Understanding the internal arts”, these arts are designed entirely around producing maximum efficiency in movement – often at the expense of easy assimilation or quick practical application. They offer a longer-term study, well suited to those who are already versed in more practical, hard, fighting techniques. 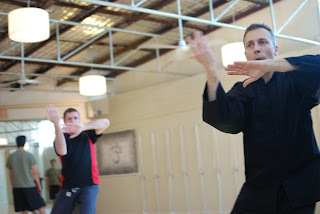 A smaller subset of karateka simply “want what they don’t have”; they recognise the importance, or just like the look, of the fluid movement or “connectivity” found in many Chinese martial arts and note that these elements are often missing (at least to the same extent) in karate. The problem for many karateka is that whenever they turn their minds to studying a Chinese art, they are faced with a bewilderingly vast field of different arts, many with hundreds of forms (xing) that are typically 2 to 3 times longer than karate kata. For karateka, who are used to a relatively small number of kata with direct, simple movement and relatively obvious application, the task of choosing a complementary Chinese martial art to further their study can seem impossibly difficult. Moreover, karateka are often reluctant to learn long, “dance-like” forms that appear (to them) to have overly-large movements (contrasting with the conservative, pragmatic movements in karate kata) and that seem to emphasise aesthetics over practicality. 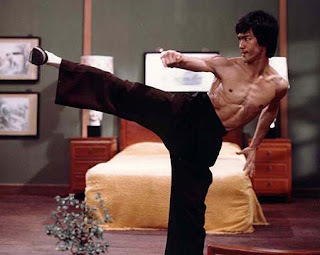 Bruce Lee called this vast array of often highly ritualised, martial arts forms “the classical mess”. Because of the perceptions of this “classical mess”, karate students today are far more likely to complement their study with systems such as BJJ, judo, Filipino martial arts (eg. arnis, kali and escrima), Muay Thai or even pencak silat. Indeed, I have studied some of these forms, notably some jujutsu and arnis/escrima. But for the most part these take the student away from the “forms/kata-based paradigm” to which karateka are accustomed. Furthermore they frequently involve a completely different set of skills (weapons and grappling). While this is arguably essential for someone wishing to learn comprehensive skills for civilian defence, it does not meet the brief of furthering the karateka’s understanding of his or her main focus, ie “stand-up fighting”. 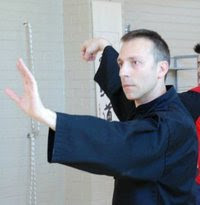 By contrast, I think that studying Chinese martial arts (in particular the internal arts) has the potential to enable karateka to extend and advance their understanding of their own art; it does not require them to start studying a totally unrelated skill set (however desirable that might be – I propose to deal with the benefits of cross-training in different skill sets another time). But, against this, there is still the perception that Chinese arts are overly complex, aesthetically oriented, and thus inherently impractical. Is this true? Yes, to some extent there is an emphasis in Chinese martial arts on aesthetics. I recall reading that in the Chinese arts it was often not enough to beat your opponent; you had to do it “in style”! And whatever the truth of this statement in historical terms, today’s Chinese government-sanctioned wushu is indeed very dance-like in its quality. But it would be a mistake to assume that the Chinese martial tradition is all about “style” rather than “substance”. There are myriad arts in China, some less and some more effective. Watching modern “san shou” contests in China gives you an idea of just how pragmatic they can be, and contrasts with the gymnastic, dance-like forms of wushu. 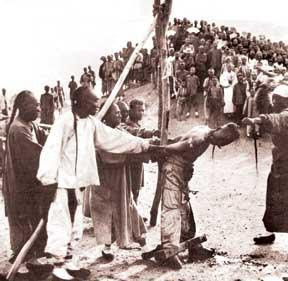 It is also true that China has a long history of suppression of martial knowledge dating from the first burning of the Shaolin temple and before. In the early 20th century, the aftermath of the Boxer Rebellion resulted in a many schools and styles (in particular many that directly influenced the development of karate) being wiped out. A decade or 2 after that, the Japanese did their best to eliminate traditional fighting systems in Manchuria. 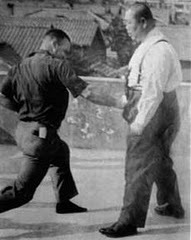 And at the height of the Cultural Revolution anything resembling a fighting art was brutally suppressed: Fu Zhongwen’s taijiquan text escaped the censor’s chop by studiously avoiding a single reference to fighting technique. 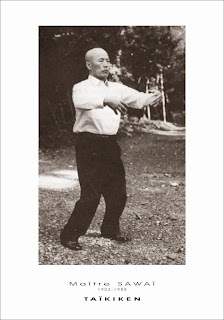 Li Zheng, a master of the Fu Nei Pai taijiquan school, became interested in taijiquan when, as young man, he salvaged a text from pile of books that were to be burned as “counter-revolutionary”. The list goes on and on. Accordingly many Chinese fighting arts (or, at least, fighting techniques from Chinese arts) have been lost in the last century. Some schools “went underground”. Others survived offshore, in particular in Taiwan, but also in Hong Kong, Malaysia, the Philippines and wherever a Chinese expatriate community was established. My own teacher, Chen Yun Ching, is the son of the revered researcher and martial arts teacher Chen Pan Ling. 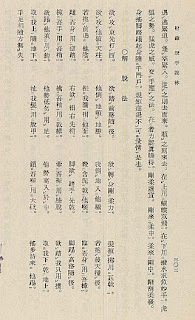 As chair of the Nanjing Committee, Chen Pan Ling was vested with the task of preserving Chinese martial arts in the advance of the Japanese. He fled to Taiwan after the Chinese Revolution where he lived out the rest of his days, teaching his encyclopaedic knowledge to fellow mainland fugitives (eg. Wang Shujin) and native Taiwanese (eg. Hong Yi Xiang) alike. Accordingly there are indeed practical fighting traditions from China that remain intact. Many westerners have journeyed to places like Taiwan to learn these arts – in particular famous historians like the late Robert W Smith who passed away on 1 July this year. His works have inspired many to follow in his footsteps. I am one of them. 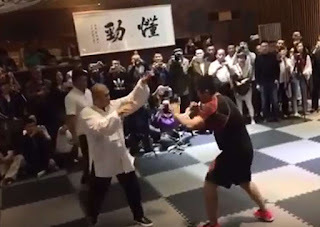 Taiwan is still a popular destination for martial researchers, but the mainland has also been a research option for some time - and martial arts there is experiencing quite a resurgence. My friend Martin Watts has been travelling to Yong Chun for the better part of the last 2 decades to study white crane (which survived there underground during the Cultural Revolution). Other masters emigrated to the West where their knowledge survives: examples range from taijiquan master Cheng Man Ch'ing / Zhèng Mànqīng (Robert W Smith’s teacher), to well-known author Yang Jwing Ming. Other Chinese teachers frequently tour the West, helping to disseminate their arts. These include my own teacher Chen Yun Ching, feeding crane master Liu Chang and former Taiwanese full-contact fighters like Luo De Xiu and Su Dong Chen. Last, many western researchers have become masters in their own right – people like Bruce Frantzis, Alan Pittman and Tim Cartmell have impressive credentials as martial artists, teachers and authors. Despite the fact that there is no shortage of surviving, practical knowledge from China, many karateka remain reluctant to commit to a study of a Chinese art. In their minds the problem of the “classical mess” remains: The length and breadth of traditional forms contrasts with their own (relatively) abbreviated systems of karate, making an assimilation of such knowledge seem insurmountable or at least logistically problematic. Even if they can isolate a particular school or style that appeals to them, they are faced with “starting over”. Rather than build on what they have, the arts require a patient relearning of basic skills – a process that often feels like one is going back to kindergarten. In short, many karateka want to learn something that can “plug-in” to their art – not an entirely new paradigm that requires years, if not decades, of careful study before they can “continue where they left off” (ie. identify the elements that add to or contribute to their existing database of knowledge). But such a “plug-in” is not presently available (at least to my knowledge). Instead, karateka face at least 5 or so years of learning basic (often alien) movement that can seem to have very little practical use. This is compounded when they choose to study an internal art such as taijiquan, where there is a saying: “15 years until you leave the training hall” (ie. it takes at least 15 years to be able to apply taiji as a fighting art). As I have said, the internal arts rely on very refined movement, movement that takes many years to understand and assimilate, decades to apply comprehensively and a lifetime to master. It can be very difficult for karateka to find the time to invest in such a course of study – at least to a point where they can cross-reference techniques and reach meaningful conclusions. And so those karateka I know who have tackled the study of a Chinese martial art have done so with a patient eye to the future. It is a long-term investment to which they contribute regular instalments on the side while maintaining their karate study. And while people like my own teacher Bob Davies engaged in a cross-reference of Okinawan arts and the internal arts of China, they did not attempt to “fuse” them at any point. To my knowledge, karateka who have studied the Chinese arts have steadfastly preserved both arts in isolation. Such preservation is both laudable and necessary. 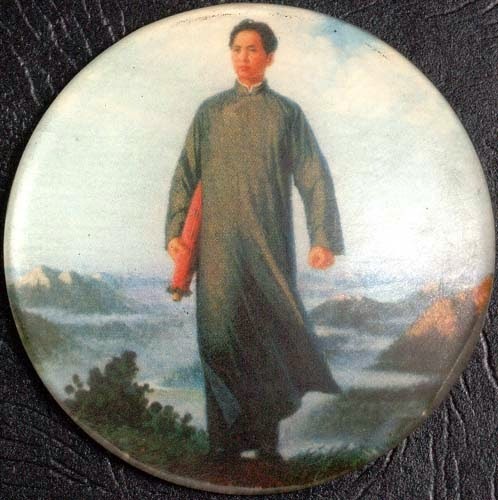 I would never dream of changing the arts of Chen Pan Ling; indeed I have sworn a solemn oath as a “bai shi” (martial son) of Chen Yun Ching to preserve his father’s research. Such cultural and historical knowledge should be maintained as purely as possible so that one’s own “authorial intrusions” are kept out of the equation (at least, as much as is humanly possible). However a drawback of such “puritan” study is that no well-considered “Chinese plug-in” exists for karate (ie. a “fusion” of karate and the Chinese martial arts) – or at least I know of no such thing.2 It’s true that there is no shortage of schools that label themselves as “Chinese karate”, however my personal observation is that these were often no more than naming conventions, adopted to cash-in on the “kung fu” boom of the 70s. Most of these schools don’t have a single shred of genuine Chinese quan fa3. And those that did/do can scarcely be termed a “considered fusion”. The less said of other purported “fusion arts” I’ve seen, the better. I am one of the aforementioned martial artists who has embarked on a regular, parallel study of both karate and the internal arts of China. In my case, the Chen Pan Ling system allows me to experience all 3 internal arts (ie. 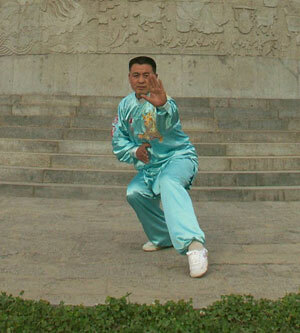 taijiquan, baguazhang and xingyiquan) as well as various shaolin “external” forms. 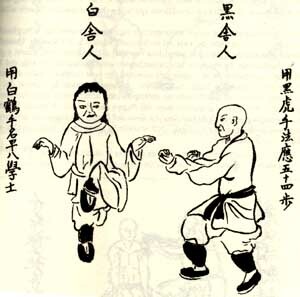 I have also studied Hong Yi Xiang’s “tang shou dao” system, including the various shaolin forms from it. And, as I have said, I attempt to preserve all these arts separately. But it would be wrong to say that my own passion for cross-referencing karate and the Chinese arts has diminished. Indeed, it is my strong view that such cross-referencing is essential for material to be “owned”. And material must be “owned” in order for it to be usable. What do I mean by “owned”? As a court lawyer I frequently used this word to describe my preparation for a case. I would “own” the details of the case, ie. the statements made by the various witnesses, the details of the physical evidence, inconsistencies between witnesses and within their own evidence, the permutations of possible answers to questions under cross-examination, the legal arguments on various points, the relevant legislation, the case law, etc. All of this had to become “part of me” before it was useable. You simply don’t have time to read notes when you’re thinking fast on your feet. You need to be able to respond decisively to “curve balls” thrown by witnesses, the judge etc. You can only do this when you know your case back to front, inside out – ie. when you have “taken ownership” of it. And so it is with martial knowledge. I can show you a hundred techniques in less than an hour. What good will they do you? Even if you can perform them all properly at least once (a highly unlikely scenario, but something that I’ve seen with physically gifted dancers and gymnasts who pick up movements and sequences very quickly) they are unlikely to be useful to you because you won’t have “taken ownership” of them. They will remain something that belongs to someone else’s body of knowledge, not yours. On the other hand, when you “take ownership” of martial knowledge you understand it intuitively. You know exactly where it fits in your existing arsenal. You know how you should use it and when it will be appropriate. This is true even if you’re not academically-minded. Some of the best fighters I’ve known don’t know how to explain what they do very well. But when you ask them what a technique is useful for, they can show you straight away. And they can instantly recall the “set-up” factors – ie. the required precursor events that enable the technique to be used (eg. “use a foot sweep after a penetrating right cross that puts pressure on him to backpedal”). In tennis terms, they understand exactly the art and science of “approach shots” or how to set-up a “passing shot” in a rally. I have already expressed my opinion that cross-referencing techniques from the different arts one studies is essential to "owning" them. Over the years I have approached cross-referencing karate and the Chinese martial arts with a great degree of caution. I made various hypotheses, starting with those that my instructors had already communicated to me. I would then test these hypotheses by trying various methods against resistant opponents to see if they worked and what the consequences would be. Sometimes I let this process play over a number of years, on the assumption that my skills were inadequate to test the particular technique properly, or reach any definitive conclusion, at that point. So the net result of this cross-referencing is still a work in progress. I have much to learn about the Chinese arts, in particular the internal ones. But I do feel confident to make a number of conclusions, mostly of a very general nature. What are some of these? those techniques or concepts that are unique to a particular art (and how and why the particular art focuses on those techniques and concepts). In my preceding articles have dealt with quite a few of examples of both categories of conclusion. In fact, this blog is substantially dedicated to setting out and explaining such conclusions. 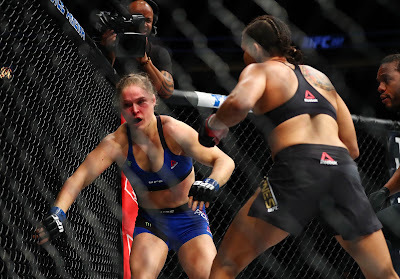 Examples of the first category range from the general (how to make a fist and align it with the forearm, why punches are chambered in traditional arts, the physics behind hitting harder, the benefits of “blocking” with the forearm, why traditional martial arts feature front snap kicks, why traditional fighting arts strive to perfect form and eliminate extraneous, non-contextual movement, why it is possible to use the low block against kicks despite the prevailing trend of thought that it is “unworkable”, etc.) to the more specific (the biomechanically optimal way to perform certain techniques from the karate kata saifa and seiunchin, why tiger mouth often appears in cat stance, the origins of the “naihanchi” and “seisan” stances, why naihanchi 2 and 3 feature biomechanically unsound techniques, why it is not feasible to “lead momentum” as per some aikido schools, etc.). 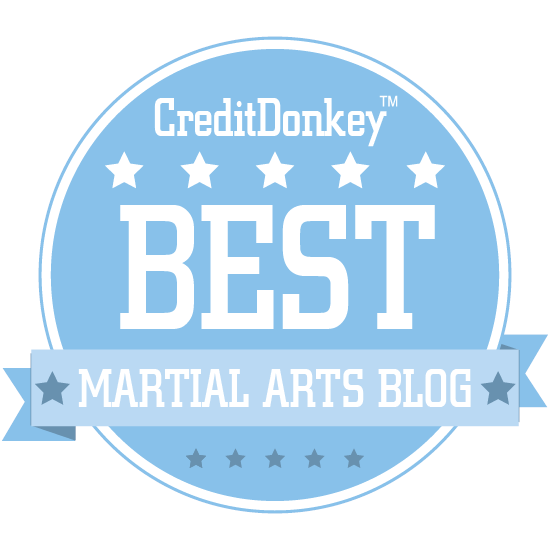 Examples of the second category include such things as how karate uses “kime” or focus as its mainstay in punching/striking and how xingyi stepping differs from karate stepping. Doubtless I will continue to describe, expand upon and revise such conclusions over the years. But all of these conclusions also lead me inexorably back to the initial question: is it possible to analyse these findings into “plug-ins” for karate? In other words, is it possible to reconcile the knowledge from various streams into a couple of discreet forms/lessons that provide a bridge from karate to the Chinese arts (specifically the internal arts) – ones that communicate at least some of the essential concepts (the “yi”) of the internal arts without necessitating a full scale commitment to learning the exact physical forms of the internal arts (the “xing”) with all their myriad idiosyncratic subtleties? “Fusion” generally never pleases purists. In fact, it usually provokes howls of derision. This is true of music (jazz/classical and pop hybrids are routinely dismissed as “naff”) or any other art. But nonetheless, such derision does not invalidate the task. It is very easy for purists to dismiss fusion from an elitist perspective. However some artists like pop star Frank Zappa and (God forbid!) Sting have engaged in fusion experiments with considerable success and sometimes (in the case of Frank Zappa anyway) grudging respect from certain purists. Why? I believe it is because enough people have hankered after the result, despite the protestations of the purists. There was a demand, and it was supplied. from the “audience” perspective it provides a greater accessibility to the pure arts, or at least to discreet concepts in/from those arts. So I might not be able to read pure physics papers, but Carl Sagan’s popular television series “Cosmos” enabled me to gain at least some understanding of relativity and quantum mechanics and marvel at the beauty and complexity of our universe. And so it goes. Accordingly, in the next part of this article, I propose to share some of the results of my experiments in fusion. I shall do so knowing the potential for derision and ridicule. However I hope that it helps karateka to understand, and gain access to, at least some of the concepts of the internal arts; concepts that might otherwise remain “impossibly” buried in what they perceive to be “the classical mess”; concepts that they might otherwise not have been able to access without embarking on the lengthy trek that is the study of the internal arts of China. I hope that this experimentation in “fusion” is received in this light. 1. In this article I propose to examine the karateka’s interest in the Chinese internal arts, not the reverse. This is not because (as some have implied) an external art like karate is “manifestly inferior” to an internal art like taijiquan. Chen Pan Ling said that it should be the goal of every external artist to become “softer”. However he also said it was the goal of every internal artist to become “harder”. The end goal of both is to achieve an ideal mix of “hard and soft strokes”. While this might be true if one is seeking martial effectiveness, my experience is that this is not the goal of most internal martial artists. Rather they principally study their art form for health, wellbeing or simply for the fun of “gong fu”. By contrast, external martial artists like karateka often have martial skill more at the forefront of their minds. Furthermore, they have an inevitable tendency to become “softer” as they age and become more experienced. In other words, the aging and maturing process favours moving from external to internal, not the reverse. The purpose of this article is to examine a fusion of an external art like karate and the internal arts to find the “ideal mix of hard and soft strokes” – if such a thing is possible. 2. Some non-karateka, eg. Tim Cartmell, have isolated certain elements of the internal arts into eclectic fighting systems. Cartmell’s “Shen Wu” academy teaches a variety of fighting skills drawn from those arts and BJJ. However it doesn’t seem as if this system is “forms-based” like karate or the internal arts for that matter. Nonetheless I urge readers to have a look at Cartmell’s books for a ready reference to applicable internal arts fighting skills, eg. his book “Combat Throws”. 3. Many "fusions" centre on goju karate. 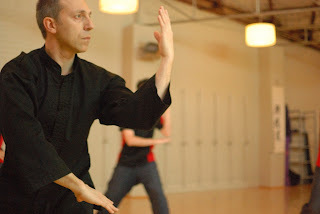 One such fusion is Ron van Clief's "Chinese goju" which is essentially Peter Urban's American goju with elements of Leung Ting's Wing Tsun and Remy Presas' Modern Arnis. Another apparent goju “fusion” is that of “Daishifu” Terry Dukes. Even his title is a strange hybrid of “dai” (Japanese for “large” – “da” in Chinese”) and “shifu” (Chinese for "teacher"). His “quan fa” is, to my eye, a diluted form of goju ryu karate without any direct Chinese influence. A video of “Daishifu” showing what is clearly a diluted version of the goju kata seiunchin, but what is being presented as “quan fa”. 4. Ed Parker’s first book “Kenpo Karate: Law of the Fist and the Empty Hand” is clearly based on what he was taught by William Chow and comprises very basic shorin-derived karate. The 2 person person form from Ed Parker's "Secrets of Chinese Karate"
I very much doubt that Parker acquired this material from Chow; it more than certainly comprises some later study. His subsequent material seemed to comprise Parker’s own evolution of his martial knowledge rather than reflect any classical Japanese, Okinawan or Chinese tradition. Certainly this video from the 70s shows a "reversion" to what is, essentially, shorin-derived karate. Interestingly, like American kempo, southern Chinese gong fu systems seems, at first glance, to be focused on "string attacks". It is important to note however that similarity is "surface only". The typical Hakka deflection, trapping and "shutdown" of your opponent's defences (not dissimilar to wing chun and white crane) are largely absent from American kempo, which retains only similar "clawing" close-range attacks (any deflection/trapping/shutdown is quite different). To my mind this makes it likely that a "string attack flavor" is all that was left of Parker's "southern Chinese gong fu phase" (not the actual deflection/trapping/shutdown techniques themselves). 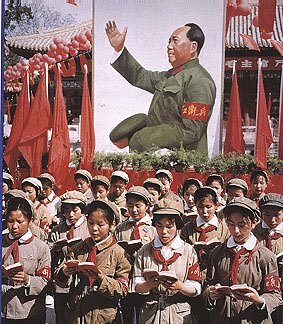 It is sad that traditional China isn't the same as Maoist China. Much was lost to the Japanese occupation and Mao's regime. On the other hand, there were some diaspora escapes, such as Jimmy Woo, who brought his lineage of kung fu, which is now called San Soo, to the US. But that lineage in China died out for various reasons. So now we have an American setting, that has grown and nurtured a kung fu setting almost entirely in an American cultural background. Weird things have now happened to it as a result. I cannot help but express my suspicion that there's a strong link between TFT, the training system I've gained the most from, and Jimmy Woo's San Soo. The movements and internal structures are way too close. 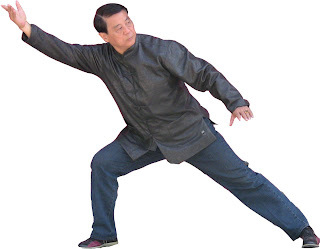 Kung fu movements are closer to TFT movements than Karate movements are, but San Soo movements almost 99% mimic it: close even then Tai Chi or Bagi Quan or Xingi Quan. 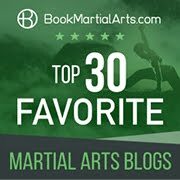 You may have seen this, but in a similar vein (though not as technique or detail oriented) Iain Abernethy just posted a historical expose of the similarities between karate and tai chi. More of a context piece than detailed analysis, but still of value. Interesting point about san soo. I'll investigate. I'll also have a look at Iain's site Quint. Sounds like something I'll enjoy reading. Thanks! Ed Parker, after going to California, studied with a couple well known chinese masters that influenced his art. One was James Wing Woo (not to be confused with Jimmy Woo of San Soo) and Ark Wong. The early kenpo forms were designed by Woo and then Parker put his stamp on them before including them in his art. This would have included the two man set that you posted along with other sets such as Panther set and Tiger/Crane set. 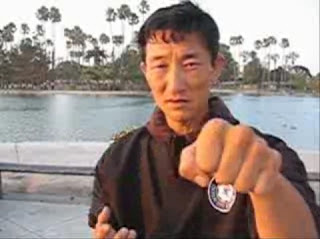 The rapid striking that is strung together was influenced by Ark Wong and a subset of his art called Mok Gar (specifically training with one of Wong's students "Tiny" Lefiti). If you watch old videos of Ed Parker moving, it has more cirlces and looks more chinese in nature. The problem is that many students wanted to shorten the circles without understanding the power generation and turned it into slaps. 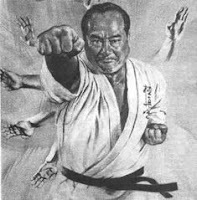 The other problem is that Ed Parker designed a commercial version that studio owners could buy into and teach his concepts so they were not brought up in his system of learning so they did their basics like their previous training so you see alot of "karate" type movements in his students even though his personal expression turned to more chinese in nature. Great post once again Dan. Re: Ed Parker, I actually learnt a Mok Gar form once upon a time. Thinking of Ed Parker now and remembering som eof his poses I can see how his movements were quite reminiscent of the movements of Mok Gar. Thanks Trev and Bill. I'll make some changes based on your comments. Just came back from a trip to South-East Asia, including southern parts of China. I sadly sensed the loss of culture due to the Cultural Revolution terribly acutely. Another nice article and I'm definitely looking forward to reading about your "fusions". Lol! Thanks for your kind remarks and for your suggestion/request. Using numbers (eg. "2") is my work's "office style" (I draft legislation in which capacity I write literally hundreds of pages each week). In my office (and in drafting offices around the world) numbers are increasingly being preferred to letters. It's all part of a move to modern, "plain English" (which is at a premium when drafting laws which are hard enough to understand at the best of times - try explaining a complex tax concept in lay terms!). But this runs contrary to my first inclination. As I was educated, one used words (eg. "two") until one got into the thousands (eg. year references such as "1889"). However this has long been abandoned as a "rule" in most forms of modern writing as near as I can tell, the only exception being where the number occurs at the start of a sentence (eg. "Two issues arise..."). There are benefits to the modern approach: it helps avoid rather arbitrary rules about when you switch from letters to numbers. For example, I can't see anything particularly special about thousands, hundreds tens or single digits, warranting a decision when to write a number in words rather than in digits. Furthermore, I note that even with single digits there are inconsistencies with the traditional approach: people used to write "Two issues arise..." then sometimes went on to say things "No. 1" rather than "number one". They also use numbers in lists etc. It is worth remembering that numbers have their own characters for a good reason - they are shorter to write and read and easier to absorb (try reading "three hundred and seventy eight" as opposed to "378"). So while I understand where you are coming from, and respect others' decisions to use letters and not digits (part of me still sympathizes with the "old way" I was taught in school in South Africa), on balance I incline towards using digits wherever possible - unless I happen to be writing poetry (which I have been known to do)! Thanks for reading and for your erudite comment! I teach composition writing (this coming semester I'll be teaching two different composition classes -- mountains of papers to grade, aaarggh!). Most current textbooks seem to advise writing the word out for single digit numbers. There is some discrepancy for numbers between ten and twenty. Usually from twenty and above, the texts seem to be okay with using the numerals. Of course, for formatting (rather than in-text numbers) the numerals are used, for instance in lists we almost always use the numerals.